Applicants are advised to apply online and do a full registration process, attaching Motivation Letter, CV’s, certified copies of educational, professional certificates and references. Applications with inadequate supporting documents will not be considered. If you are results orientated, you have a passion for the transformation and development of Southern Africa, and possess the required competencies, skills and experience as a Project Manager please submit your application. 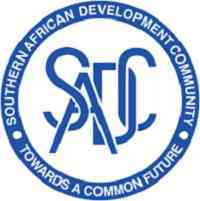 For the first four years the four Officers will mainly be funded from the following Programme: “Integrated Institutional Capacity Building for the SADC Secretariat and National Stakeholders (IICB)” with the financial support from the European Union; before the end of the Programme they will be under the regular SADC budget if they satisfy to the SADC HR requirements. Thus, the offer to start this job depends on the funding and commencement of the IICB Programme.